Great product to challenge kids to put things in with matching colors. 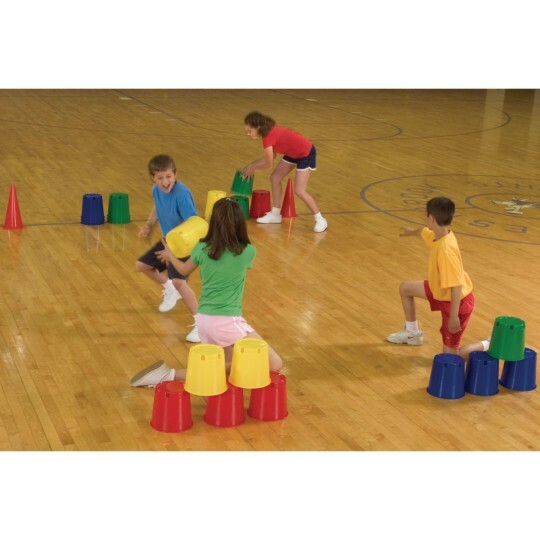 We purchased these for our school and have found them to be great for children playing a game outdoors. They don't fit with an older set I got from SS. They stick together and it make doing relays with them a headache. The new ones have crack easily compared to the older set I have. They are still great for stations and using colors to break up students. They are also great for storage. I would recommend them for some uses. I absolutely love these buckets! I use them for so many activities which is why I have six sets of them. 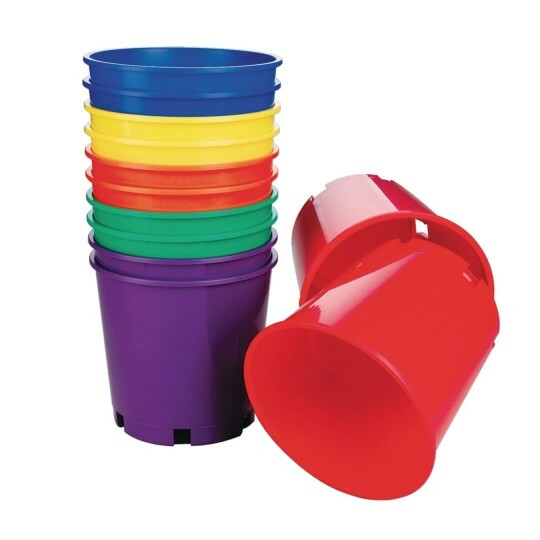 You can use them for storage at different stations substitute for jumbo cup stacks creating patterns and so much more! 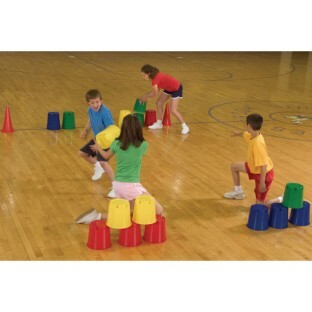 I use these buckets for a variety of activities such a bucket stacking catching beanbags in buckets etc.